Here are the Republicans calling on Trump to drop out after 2005 audio was released. 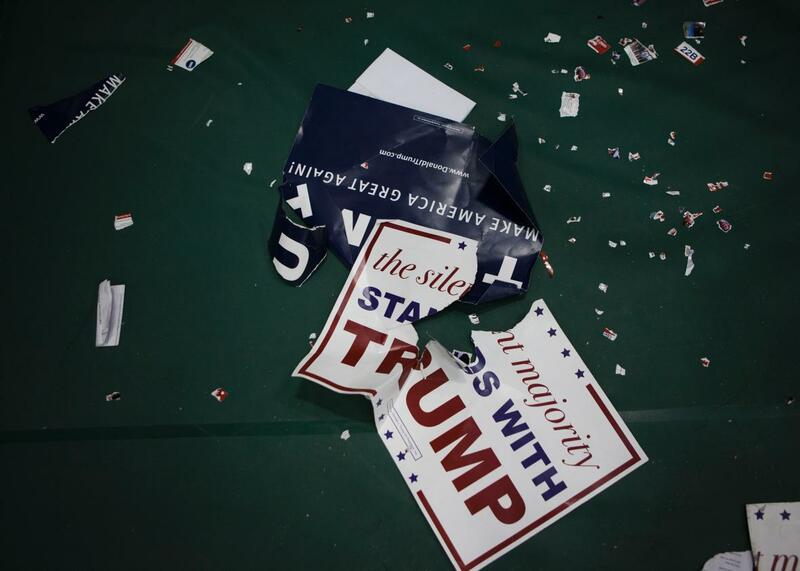 Torn posters litter the floor following a campaign rally with Donald Trump on April 25 at West Chester University in West Chester, Pennsylvania. Yet even as some say they are shocked and horrified by the contents of the audio that leaked Friday night, not everyone is outright withdrawing their support for the Republican presidential candidate. So, who are they? This is an incomplete and running list that will be updated as new statements are released.